Organizations around the world struggle to find a single security solution that gives them full coverage for the internal network. Added to that is the fact that most products are complicated and require a massive investment of time, resources and manpower to implement. 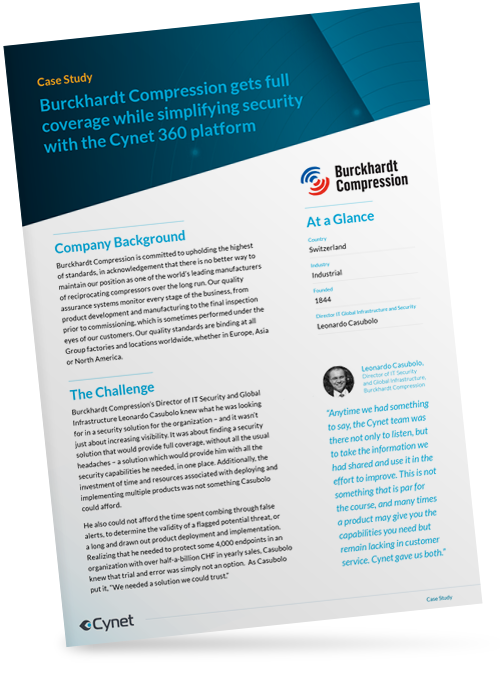 Download this case study to see how Burckhardt Compression found the answer in Cynet.